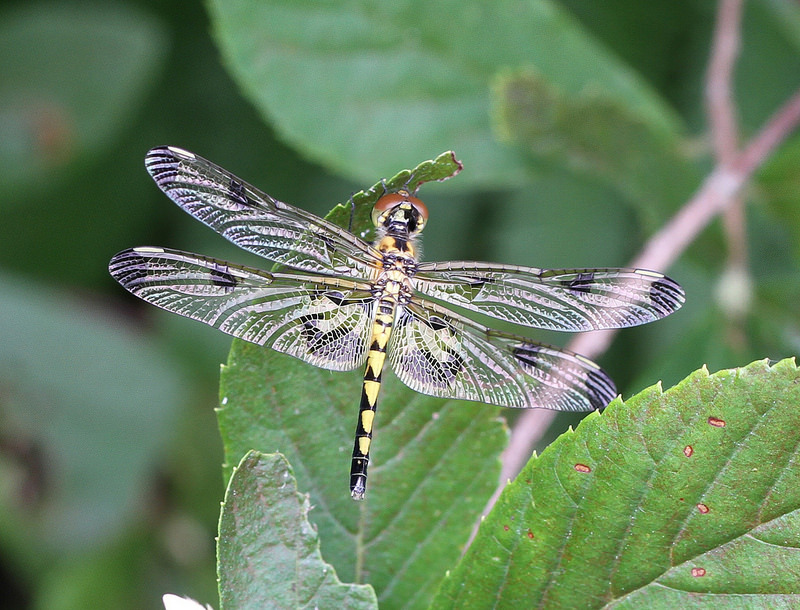 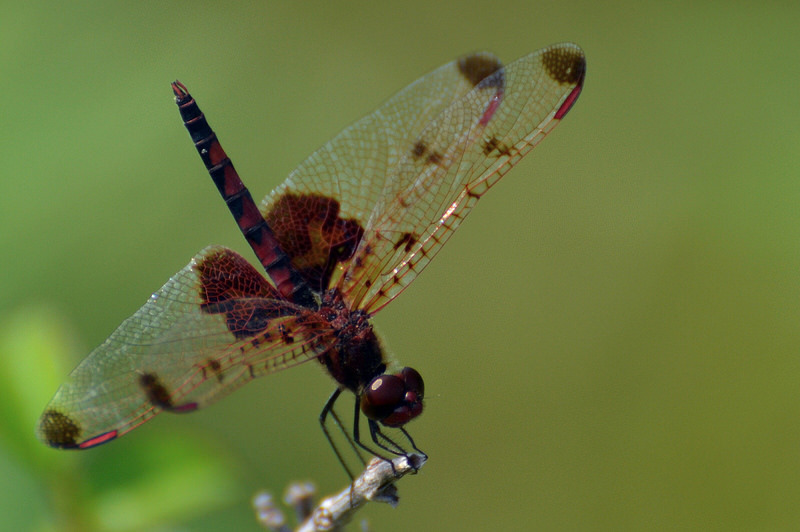 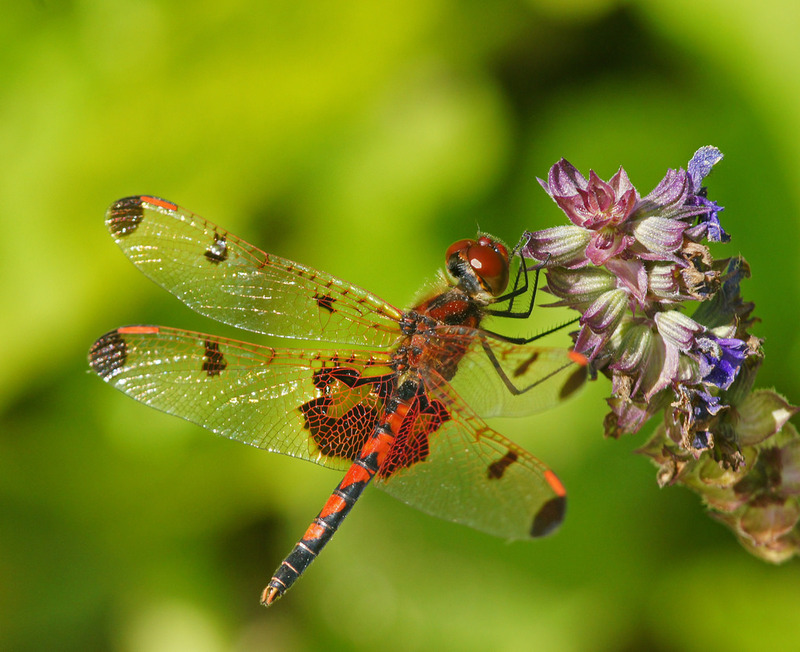 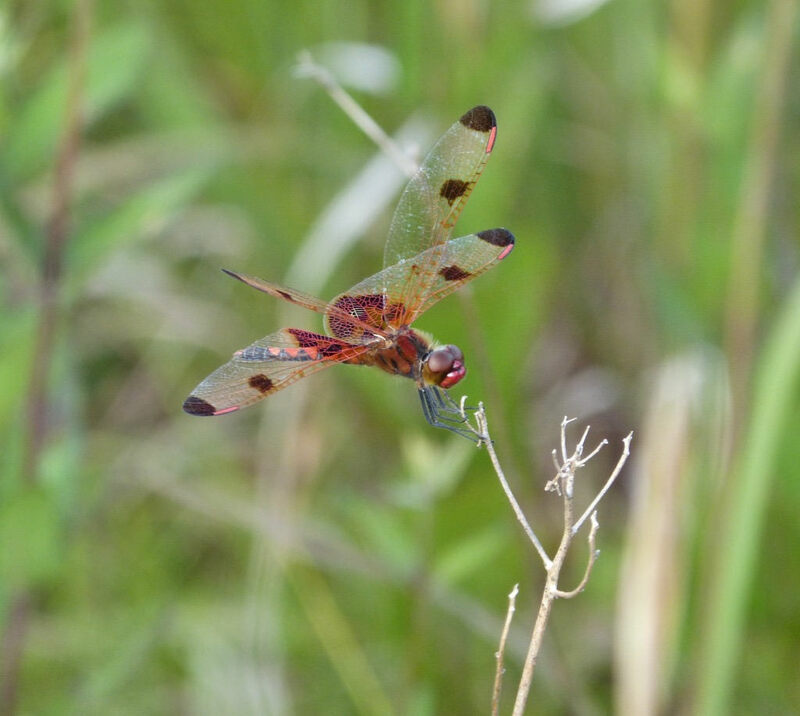 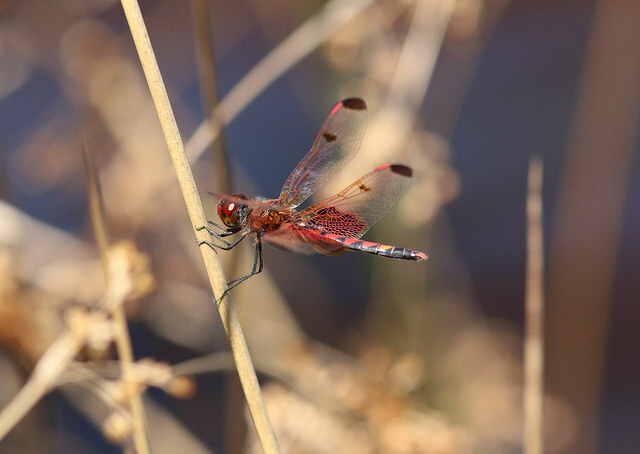 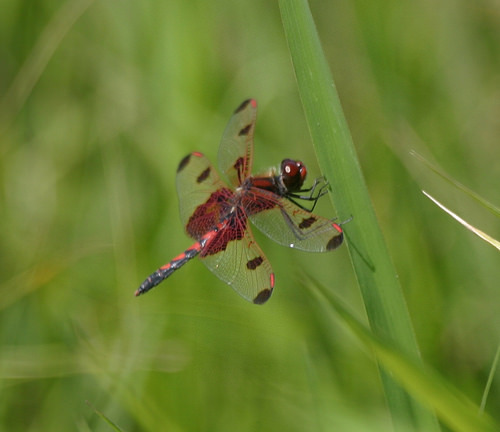 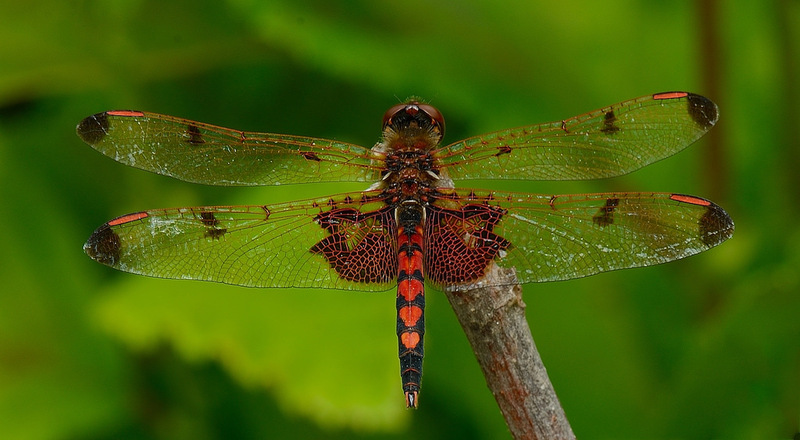 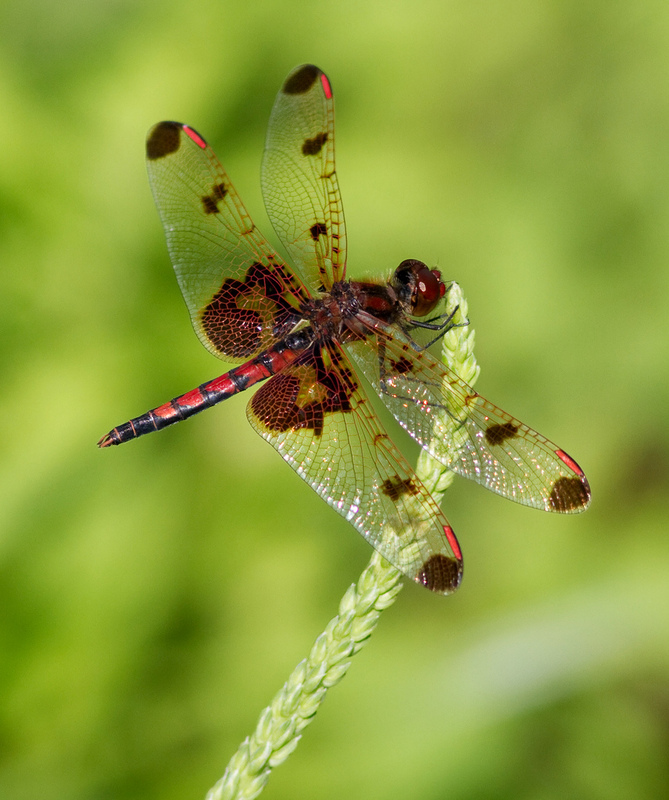 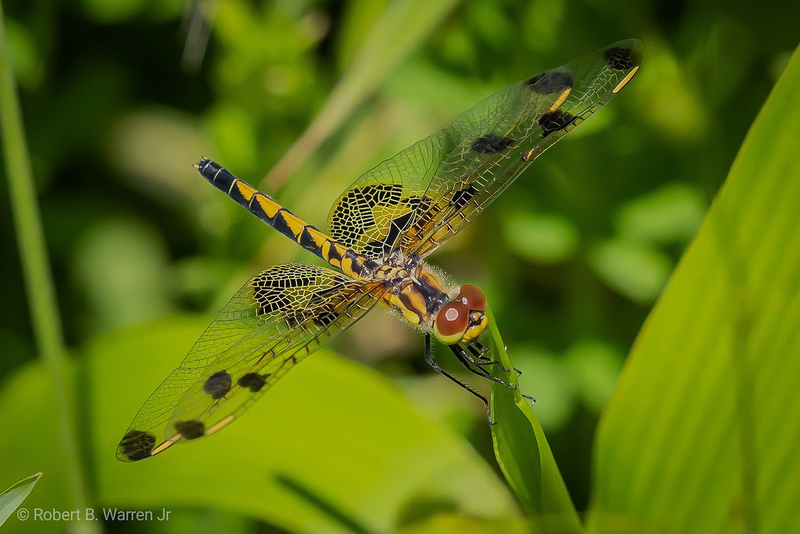 Calico Pennant (Celithemis elisa) is a widely-distributed species found through much of eastern North America at pond or lake margins with vegetation, including pools in bogs. 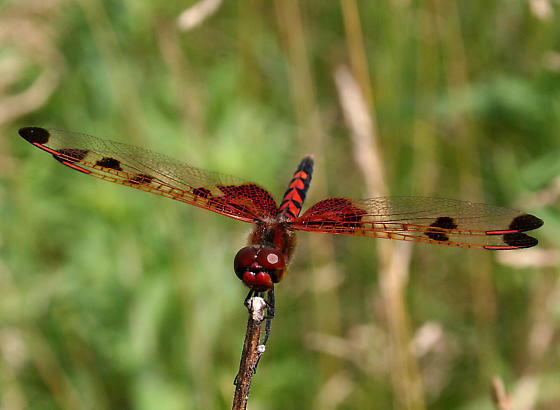 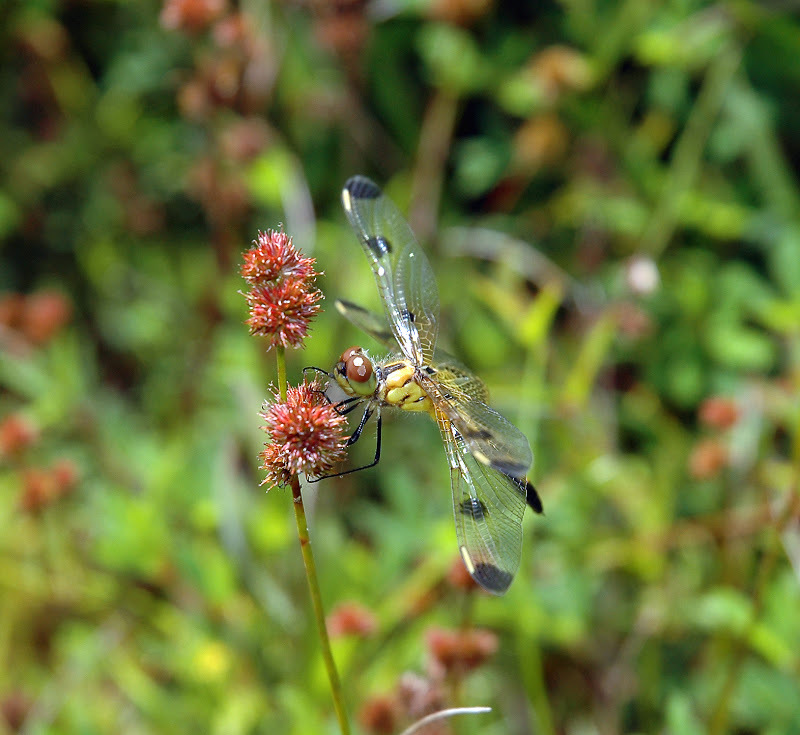 Like other species of Celithemis, it frequently perches at the tip of stalks of vegetation, with the wings blowing in the breeze like a tiny flag (Paulson, 2011). 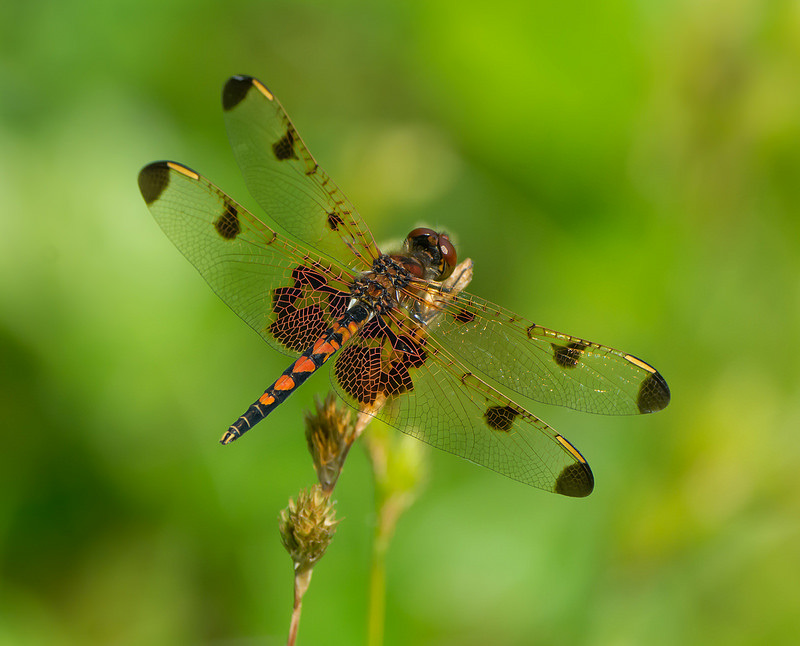 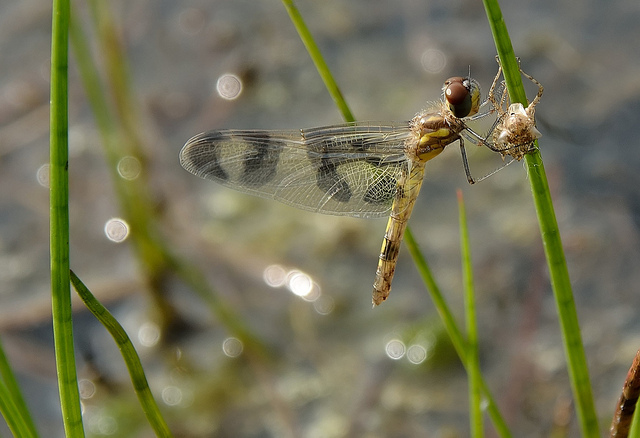 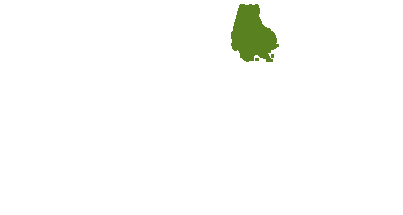 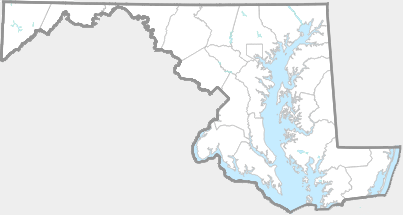 This is a widespread skimmer in Maryland, recorded from every county in the state (Richard Orr's The Dragonflies and Damselflies of Maryland and the District of Columbia).